This article was written following a collaborative study produced by Simon Lahaie, Olivier Houle, Jean-Christophe Mauss, Jean-Michel Dubé, and Caroline Boulard. Black Friday, Cyber Monday, Boxing Day. If you work in the retail industry either directly or indirectly, these words are synonymous with potentially huge profits, as well as with a certain amount of pressure when it comes to the necessity of success. That’s because, for many retail businesses, the months of November and December represent the biggest months of the year. In this digital media-focused article (specifically Google Display and Facebook), we’ll discuss the key moments of the holiday period, from managing competition to preparing audiences, along with recommendations for your media campaigns. Whether you’re a marketer or a specialist, this article will help you develop the right instincts for your holiday campaigns. More technical advice will be available at the end of the article – don’t worry, it’s still comprehensible to a generalist audience. To put it in perspective, in 2017 Alibaba’s Singles Day generated more than $25.3 million, which was 3.7 times more than Black Friday and Cyber Monday combined in the United States. To help you keep your head above water over the holidays, we put together a list of important points to keep in mind. Considering the major investment brands make during this period and the fact that 75% of the season’s revenue is typically generated before mid-December (Adobe Analytics, Predicted Online Sales by Day During the Holiday Period), it’s important to prepare yourself in advance in order to be able to offer an optimal experience with relevant content to encourage people to buy. Planning your holiday strategy well in advance will allow you to coordinate your marketing and logistical efforts so you can offer a purchase experience your customers will find irreproachable. Your audience pools are ready for remarketing. Which one of the promotional days did best for my brand? Which event required the most effort? The least? Which tactics were most effective this year? Which tactics were most effective during last year’s holiday season? Have we identified potential opportunities by analyzing demand, marketing expenses and revenue generated? For more details, refer to our article on the Delta Opportunity Index. In summary: bet on what works, don’t reinvent the wheel. Save the testing for periods of the year with less aggressive goals. Throughout the year, and especially during the holidays, it’s crucial to set clear, quantifiable goals and accompanying key performance indicators (KPIs). Once you do, you’ll be able to optimize your campaigns properly and measure their success. Even if it seems obvious, remember not to lose sight of your overall business goals and make sure your promotions are aligned with these goals. In digital media, one of the most important predictors of success is the choice of target audiences. The way you prepare your audiences and the way you use them will prove critical. Depending on your budget, make sure you’ve covered all your audiences and classified them in order of priority. 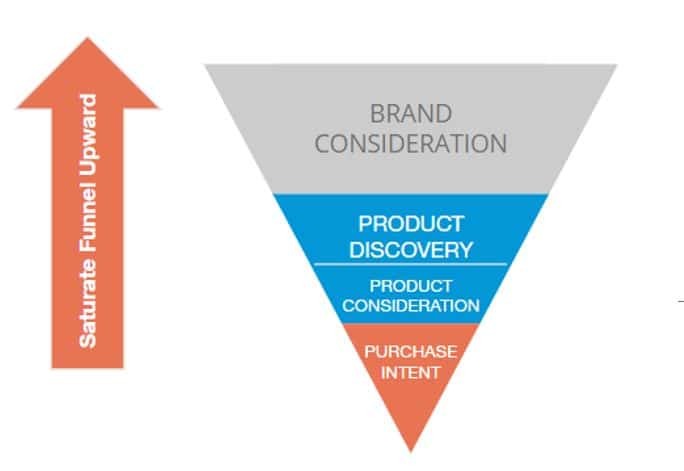 It’s essential to start with bottom-of-the-funnel audiences (past buyers, users with abandoned shopping carts, product page visitors, etc.) before reaching for audiences who are higher in the sales cycle (generic page visitors, users who interacted with brand content, prospecting). Source: Funnel model developed by Adviso for a client. To maximize your chances of generating revenue during sale periods, you need to maximize your First Party audiences. To do this, you have to build and stimulate them beforehand in order to maximize their potential. You can then use all these audiences for remarketing, confident that you’re speaking to qualified audiences. To summarize, make sure that you’re able to cover the full range of near-conversion users present in your audience pool. If your budget allows, prospect! But don’t forget to spread your budget out in a way that takes into consideration how close each audience is to conversion, and its size. Over the holidays, competition is fierce. With more advertisers on ad platforms, expect the cost of bids and your marketing initiatives in general to go up. A few modifications can be made to your optimizations in order to maintain a strong presence. Take the example of a Black Friday display campaign. If every advertiser wants to reach the same audience (e.g., men 25-45, in the market for sporting goods) the increased competition would result in higher auction costs. The same audience you reached all year with a fixed CPM (cost per thousand impressions) will suddenly be more expensive to reach. Remember that when you’re planning your budget – don’t let yourself miss potential opportunities because your budget is too limited! Now let’s get a bit more tactical, by looking at ad buying on Facebook. Given the increased level of competition over the holidays, you might want to think about building certain campaigns in reach and frequency mode. This will allow you to guarantee ad inventory, and by extension, visibility during a time with a lot of marketing noise. Reserve your campaigns early: this type of inventory will gradually see CPM increase. Make sure you reserve in advance to guarantee a good price! 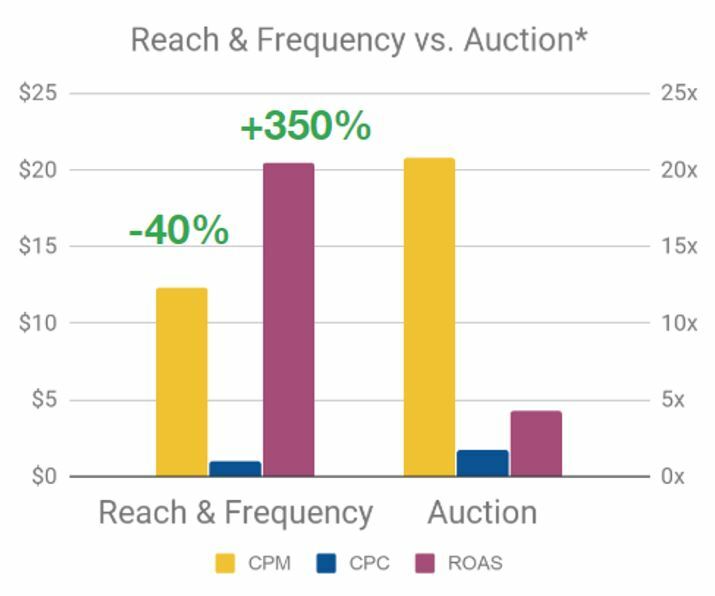 Analysis of the performance of the same first-party data audience in reach and frequency mode vs. auction, conducted for a client by Adviso. In the same spirit as a reach and frequency campaign, considering the heavy marketing noise and the fact that promotions over the holiday period tend to be aggressive, optimizing your delivery for impressions or clicks rather than conversions could benefit your brand. The idea here is to avoid constraining the algorithm and increase your potential reach. 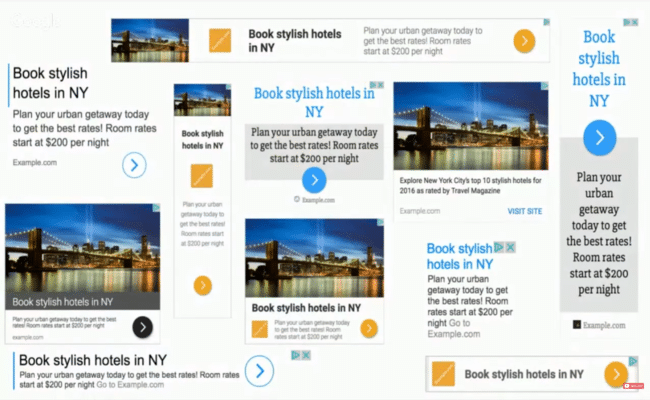 Want your ads to stand out from the clutter? Add emojis and modify the way you present prices in your dynamic ads. Add insets and display your reduced prices. Lots of creative options are open to you. In this article, our colleague Annabel Dufour-Brown shares five tricks to make your Facebook ads perform better! The addition of emojis has led to significant performance increases for several of our clients. We’re talking about increased ROI of up to over 20%! If your goal is to generate website visits, the static image format and dynamic ads will be (generally speaking) the formats with the highest performance potential. If you make some of your display buys through the Google Display Network, the use of the responsive display ad format has proven to be an excellent option, especially over the holidays. On average, the click rate on this type of format is twice as high and the cost per acquisition is 25% lower than with traditional display formats. As for conversion rates, they’re an average of 59% higher than for standard formats. Hard not to be convinced! By adapting to the vast majority of ad spaces, you will guarantee yourself a broad potential reach. Around mid-December, whether it’s on Facebook or display, encourage your customers to visit a store with drive-to-store ads. This type of ad is ideal for the week before Christmas because at that time it’s hard to guarantee delivery. This is a way to ensure that your customers will be satisfied. 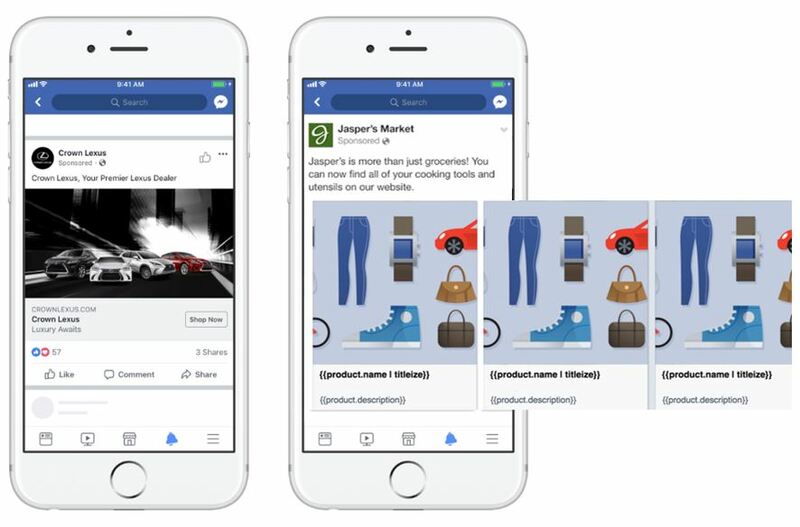 It’s now relatively easy to measure your in-store sales thanks to Facebook’s offline conversions. This allows you to then attribute offline sales to your media campaigns. Download your holiday preparation checklist! The holidays are coming fast… Will you be ready? Whether you’re in an agency, a consultant or an in-house marketer for a company, the holidays are often synonymous with major stress. Rigorous planning done at the right time, that prioritizes tactics that have succeeded in the past and are easily actionable, will make this period a success for you and your company. When the time comes to optimize your campaigns at this time of year, keep in mind that the competition is fierce but by respecting best practices, you can maximize your chances of success. Have questions or need support? We’d be happy to help! Olivier joined our team after completing a bachelor degree in communications and marketing. Passionate about digital media, he is actively taking part in many causes and organisms. His expertise in digital media, added to his capacity to fully understand clients needs make him a great partner in crime for successful digital campaisgns. With professional experiences in different industries in France and in Canada, Jean-Christophe's passion for digital media is felt throughout his projects. His eye for detail and his flowing creativity make him a Campaign Manager that always goes beyond goals and expectations, and his ability to democratize technical information allows him to maintain excellent relationships with clients.